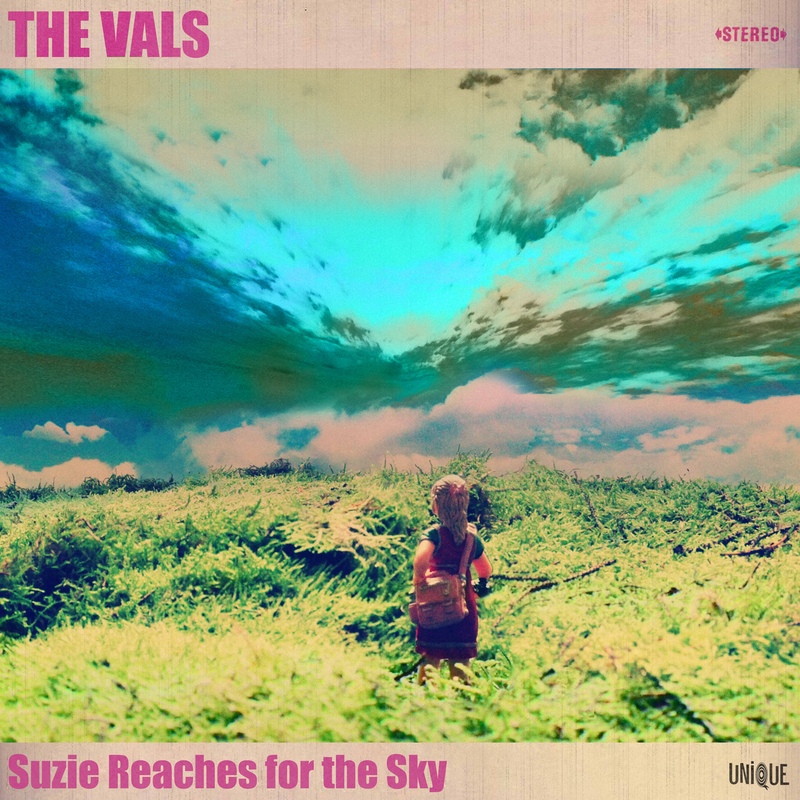 We are delighted to announce that The Vals have been asked to join Paul Weller as special guests for the entirety of his European Tour in 2015! 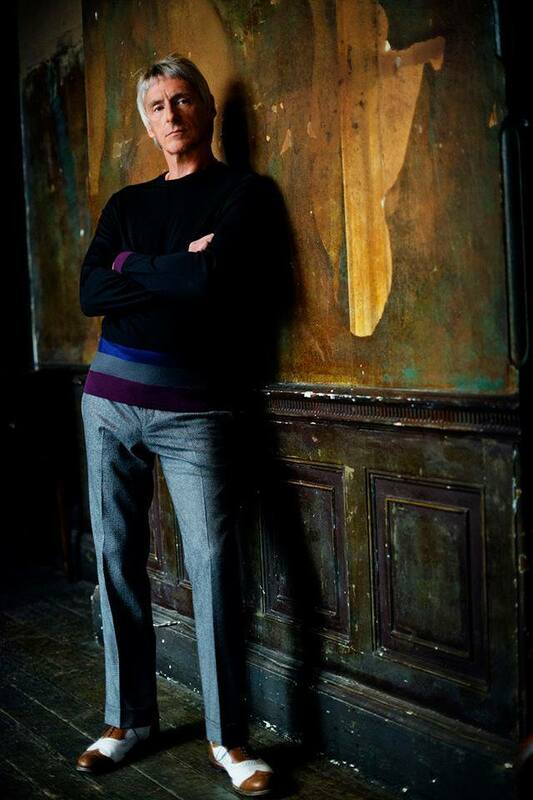 We will be joining Paul and his fantastic band throughout Europe beginning with Paris on April 8th followed by shows in Amsterdam, Utrecht, Bruges, Cologne, Berlin, Hamburg, Muenster and Brussels. During our recent 'Wildflower Way Tour' we stopped off at ZDF Television studios in Berlin (02/02/2015) to perform 2 tracks and have a chat. 'Morgenmagazin' is watched by around 3 million viewers each day. You can now watch us play 'Echoes of Summer' from the show. Some amazing news came to us late 2014 that we won an award for 'Best Album' at London's Galaxy Awards. We are big fans of a lot of the acts nominated alongside us and are all very excited about heading to London in February to collect the award. the folks at Galaxy are proper music people and to win this award means a great deal to us coming from those guys. An absolute honour! 'Wildflower Way' Album Reaches Number 2 in Japan! Super news coming from Japan that our album 'Wildflower Way' has charted at Number 2 in the Indie / Rock Charts and #38 in the General charts (figures via Jet Set Records Tokyo). A big thank you to everyone who bought the record. It means the world to us knowing that people around the world are listening. 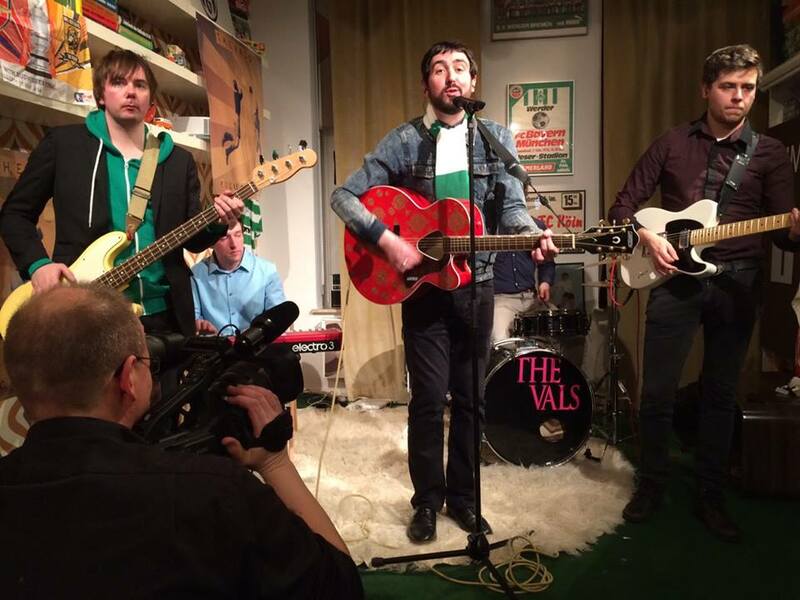 The Vals made a guest appearance on the WDR Televison show ''Zeiglers Wunderbare Welt des Fußballs'' to perform 'Pickepackevoll', a track written especially for the show. The song features some famous Bundesliga commentary aswell as Paul incorpoating some football terms from the show including 'Pickepackevoll'. 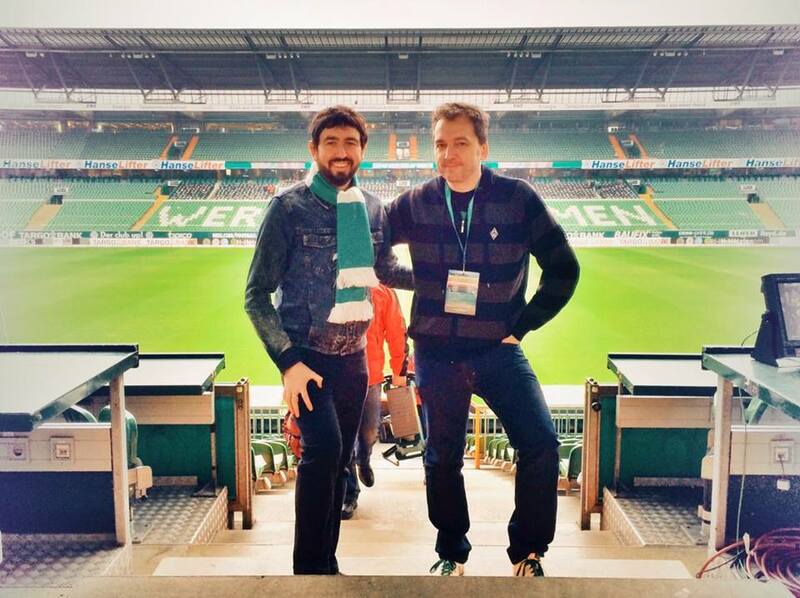 The day of filming we were very lucky to have been invited to Werder Bremen's stadium where our good friend Arnd showed us around. The moment of the day was when they played The Vals - Pickepackevoll to the supporters just before kick-off. A moment that will stick with us forever! All proceeds of the single release go to a fantastic charity 'Spielraum' , we hope to generate lots of money in the coming weeks and months and help as much as possible. 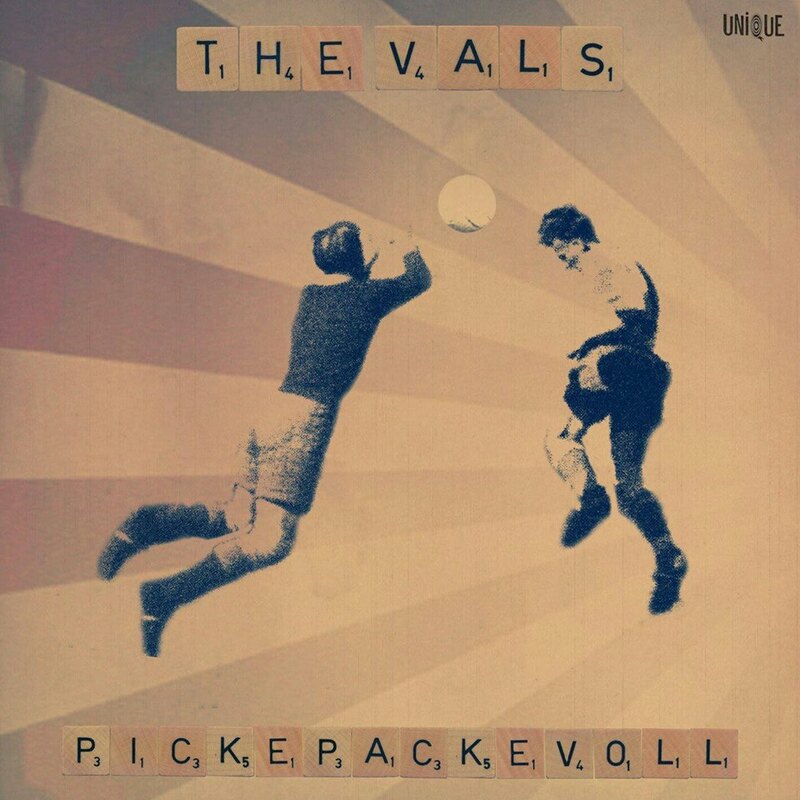 We are happy to announce that we have recorded a special charity football song called 'Pickepackevoll'. 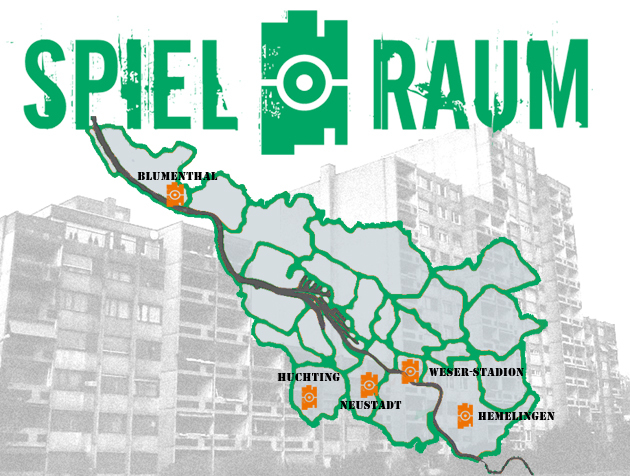 The song came from conversations with Football TV host Arnd Zeigler about various German football words such as 'Kacktor' and 'Pickepackevoll' and will be performed on Arnd's show on January 31st. 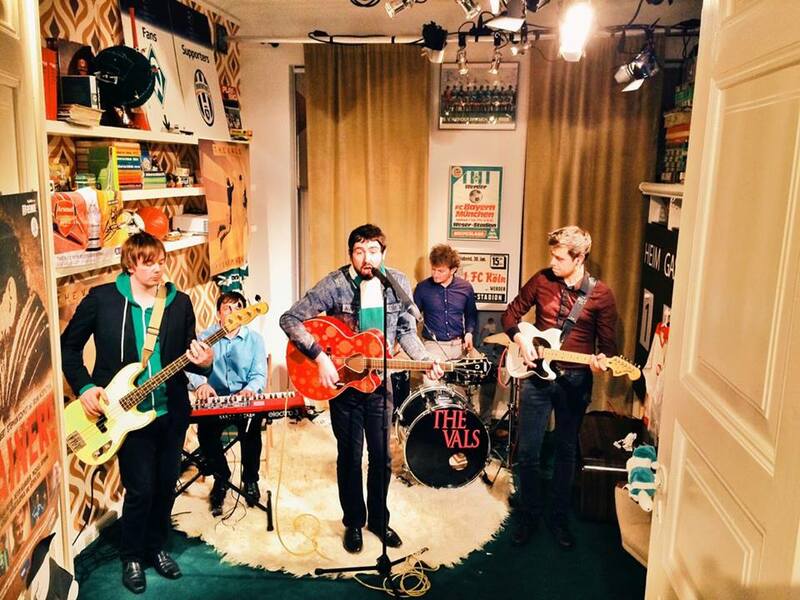 All proceeds of the single will go to the 'Spielruam' project which is run from Bundesliga team 'Werder Bremen'. ''SV Werder Bremen is in cooperation with its supplier to the Nike TRAVEL program in Bremen. The program uses sport as an opportunity to find an access to children and young people aged 10 to 14 years old, and thus provides a complement to the traditional offerings of youth social work in the city. We are happy to announce that the third single to be taken from our album 'Wildflower Way' will be 'Echoes of Summer'. In recent weeks the song has gained rotation on some of the biggest stations across Germany, Austria and Switzerland and has been a firm favourite from the album as well as during our live set. In celebration of the reception the album has received we have decided to make the release a little more special by releasing a special EP. Alongside the single ' Echoes of Summer' is 'Look to the One' which features legend Henry Mccullough (Paul McCartney & Wings) on guitar and vocals. 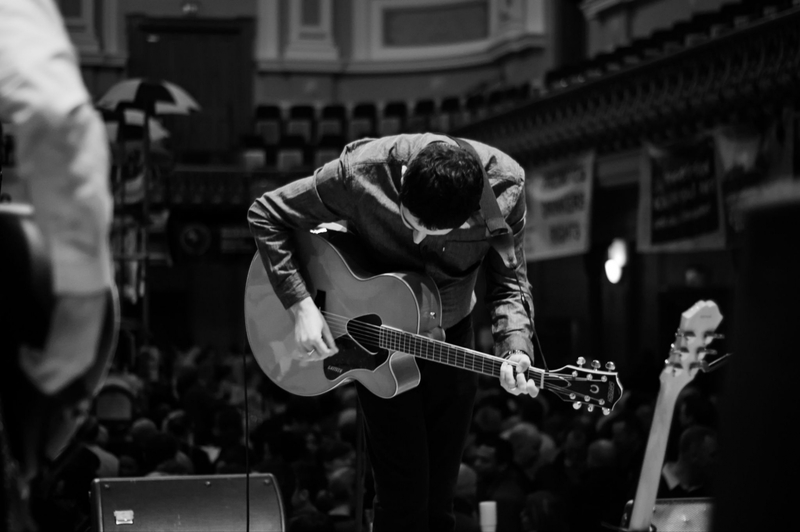 The track was originally recorded in Belfast in 2011 with Henry but has had some additional instruments and parts added by Paul in 2015. another re-worked track which appears on the EP is an electric version of 'Things Will Always Be The Same' from the 2009 'Sticks and Stone' album. 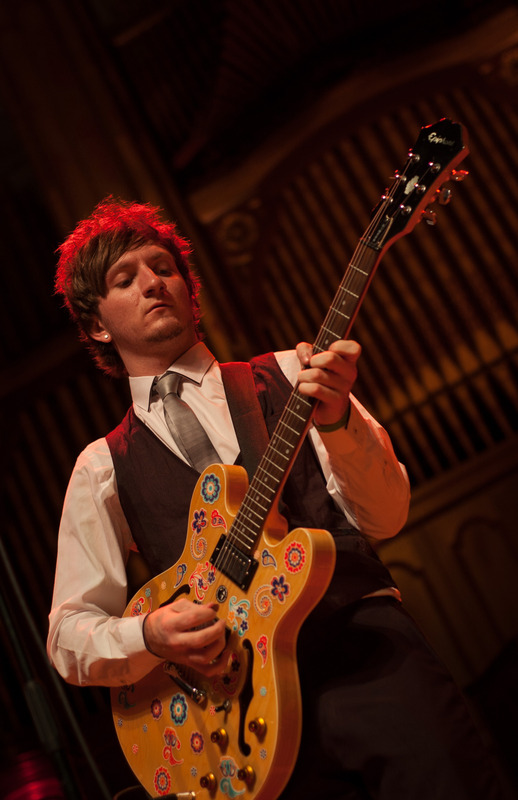 Finally we have a cover of the Electric Light Orchestra classic 'Mr Blue Sky. In September 2014 we were kindly asked to appear on Arnd Zeigler's show on Radio Bremen and perform some tracks from our album. Arnd also asked us to perform a cover of this track and we have fell in love with it ever since. 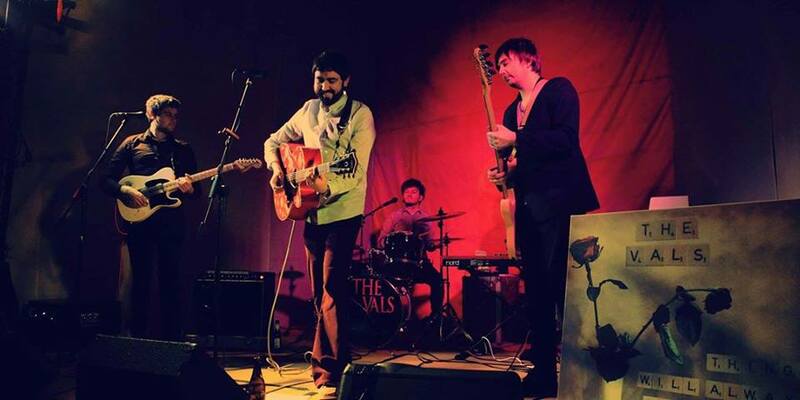 When we returned we quickly recorded 'Mr Blue Sky' and ever since has become a big live favourite for us. Artwork for the single has been created by Stefan Duerr, a beautiful piece which works brilliantly with the rest of the artwork for 'Wildflower Way'. The Vals stopped by the Arnd Zeigler Show on the final leg of our tour promoting new album 'Wildflower Way'. 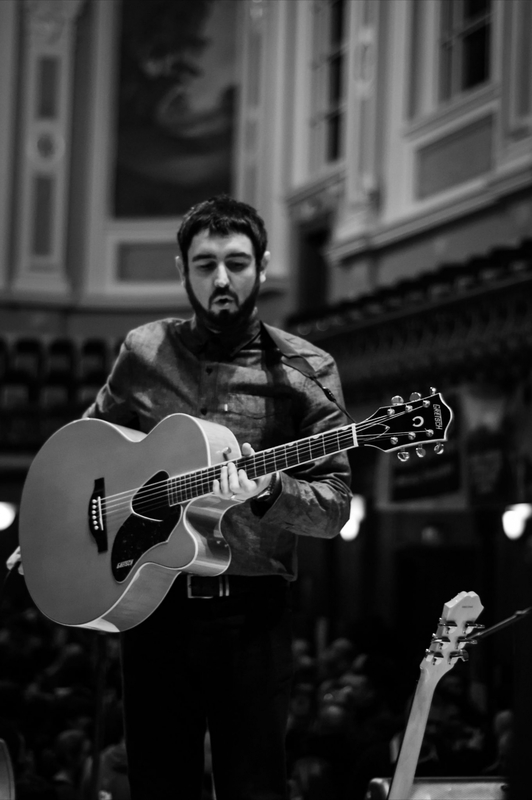 We are big fans of Arnd and his show it was fantastic to play acoustic versions of some album tracks as well as a track from our first album and a special cover of the ELO classic 'Mr Blue Sky'. A big thank-you to Arnd for having us on the show! He was the first person to play songs from 'Wildlower Way' on his show a while back and we felt it only right to credit him on the sleeve of the record and say thanks! 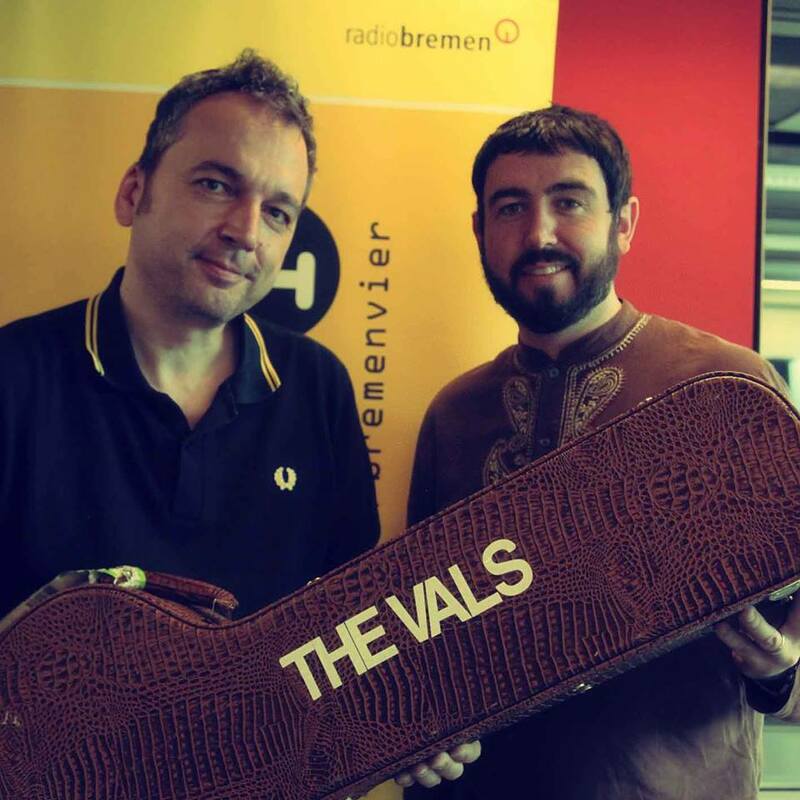 Before our show at the famous Golzheim Festival Paul and Conor from The Vals caught up with Manuel from Triggerfish / CCTV and played an acoustic version of 'Everything's Broken' from our new album 'Wildflower Way'. Filming this track at the beautiful location of the Rhine river was a prefect way to start our short tour. The second single to be taken from our new album 'Wildflower Way' will be 'I Fall' out September 12th on Unique Records. Already the single has had lots of rotation on radio stations includiing WDR5 in Germany. The single is accompanied by album track 'Where Do We Go From Here?' and is available as a digital download at all stores. 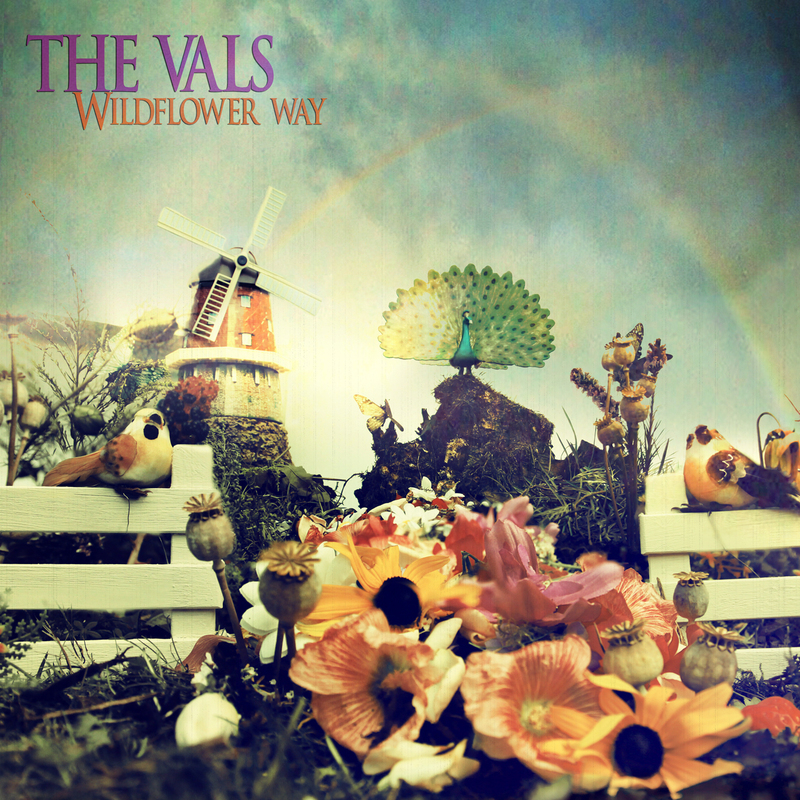 The Vals set off to spread the word of new album 'Wildflower Way' this September. 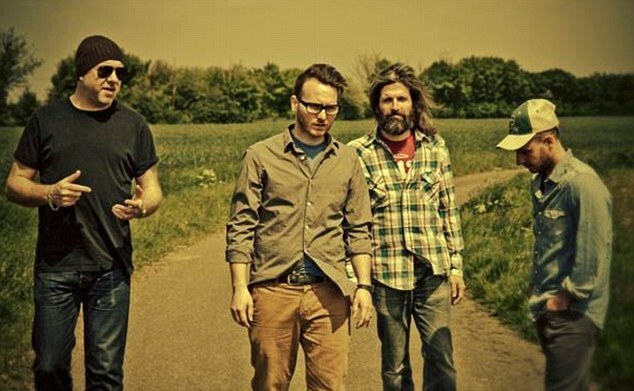 Starting off at the Golzheim Festival the band will be showcasing a special acoustic set at various venues around Germany as well as radio sessions through-out the country. Singles 'Quiet Part of Town' and 'I Fall' are currently receiving heavy air-play prior to the release of this long awaited album. We cant wait to play some special live sessions on radio in September also including Arnd Zeigler's show on Radio Bremen, Dortmund's 91.2, Deutschlandfunk, the BBC and many more. Paul from The Vals had a small part in the new Universal movie 'Dracula Untold'. Paul played a Turkish General and filmed scenes through-out August - November 2013 in various locations in Ireland including Belfast. 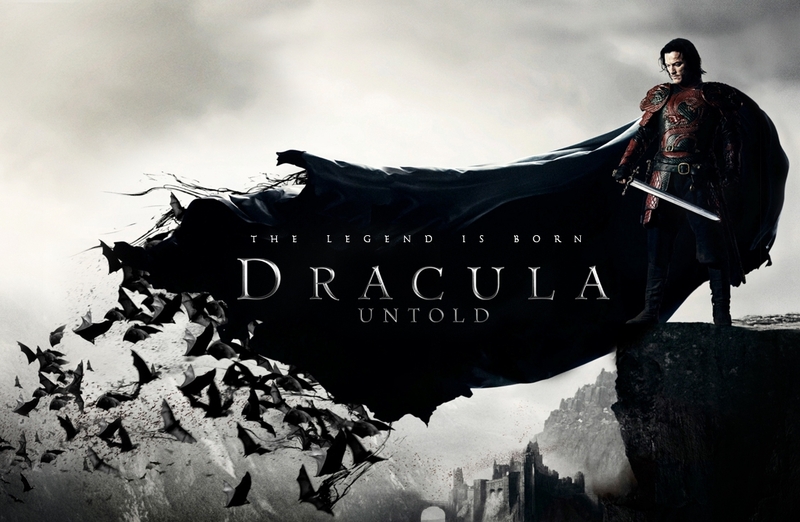 Dracula Untold will be in cinemas on October 3rd and stars Dominic Cooper and Luke Evans as Dracula. We will post come pics soon of Paul on set! We are happy to announce that our first single to be taken from the 'Wildflower Way' album will be 'Quiet Part of Town'. The beautiful artwork again was created by Stefan Duerr. 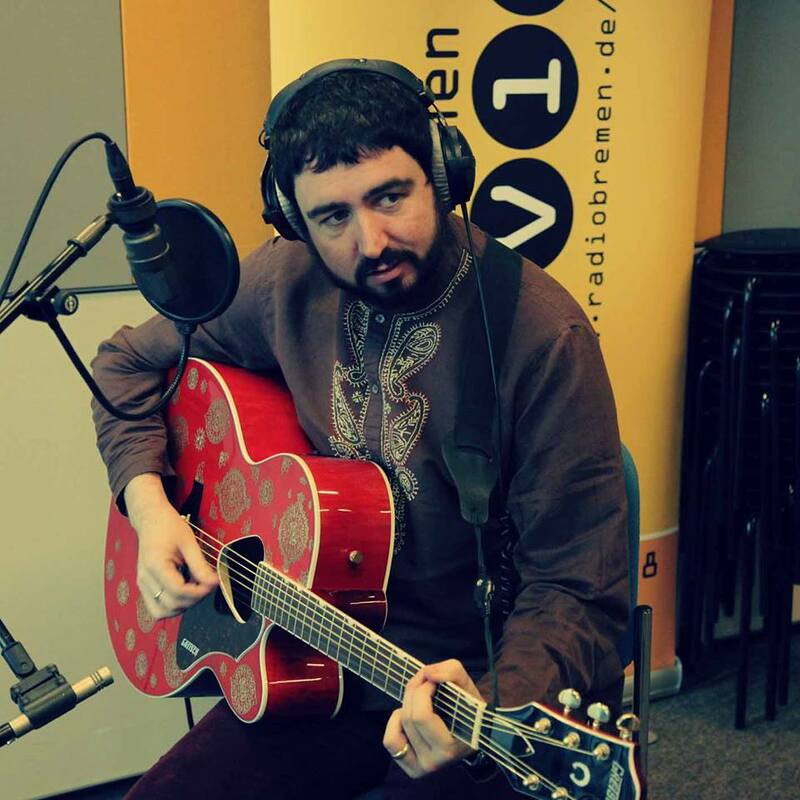 Stefan is working on something pretty special for the 'Wildflower Way' album, watch this space! Although released worldwide, the single will receive much radio play in Germany, Poland, Switzerland and Austria due to a large promotional campaign there. Release date is August 8th 2014! We were very lucky to have had a chance to work with some amazing film-makers in Thomas McKeown and Daryl Randall, on the video for 'Quiet Part of Town. It stars the very talented Sarah NiEoghain and was shot in Mandela Hall and on Cave Hill in Belfast. A big thanks to all the crew involved, we had a blast making it and look forward to working again together soon! The Vals are very happy to announce that we will open for Simon Fowler's new band 'Merrymouth' for 2 dates of their Irish tour in May. We will join the band in Mullingar and Dublin on what is their first visit to Ireland. 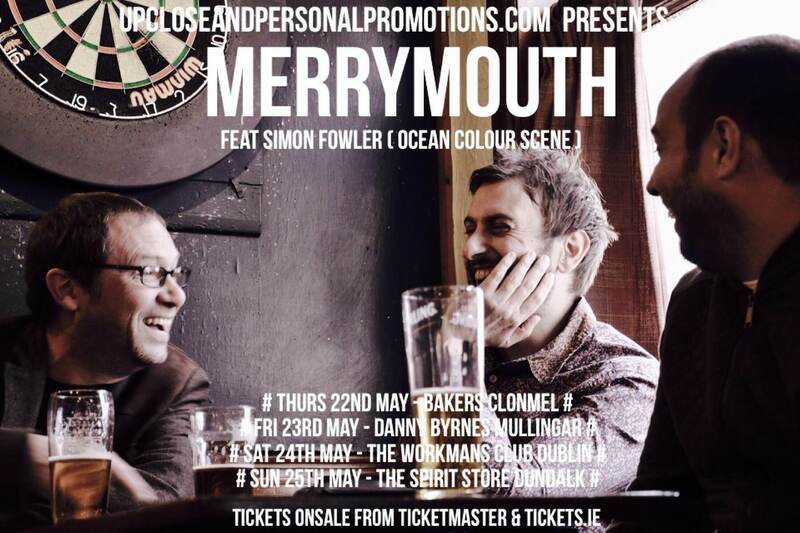 Merrymouth are a three piece folk-orientated band featuring Ocean Colour Scene songwriter and vocalist Simon Fowler(guitar/vocals), Dan Sealey (guitar/vocals) & Adam Barry (piano/organ/vocals). 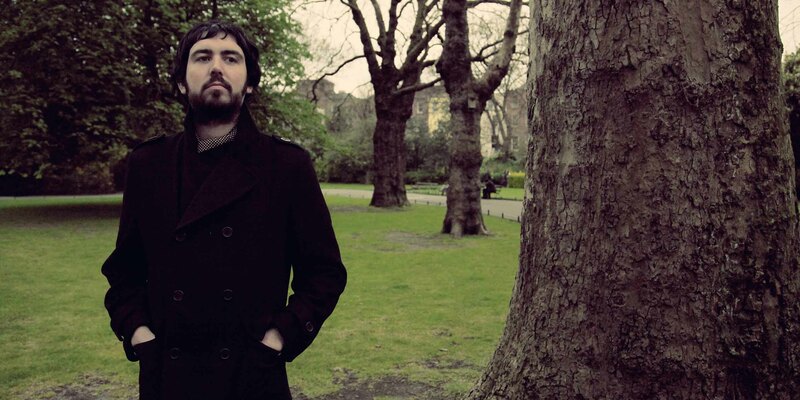 Simon Fowler is no stranger to the folk world, In 2003, he presented McCusker with the ‘Musician Of The Year’ accolade at theBBC Radio 2 Folk Awards and subsequently went on to record backing vocals for Kate Rusby's “Underneath The Stars” album the same year. After signing to Navigator Records, 2014 will see the band return with their second album, “Wenlock Hill”, a collection of new songs, which once again features John McCusker (Violin), a special guest appearance from Chas Hodges (Piano) of Chas & Dave, Catherine Harper (Cello), Andy Derrick (Trombone), Hugh Thomas (Clarinet), Anthony Jones (Muted Trumpet) and Nick Lyndon (Double Bass) along with a full UK and Ireland tour to support the release throughout the Spring and Autumn. 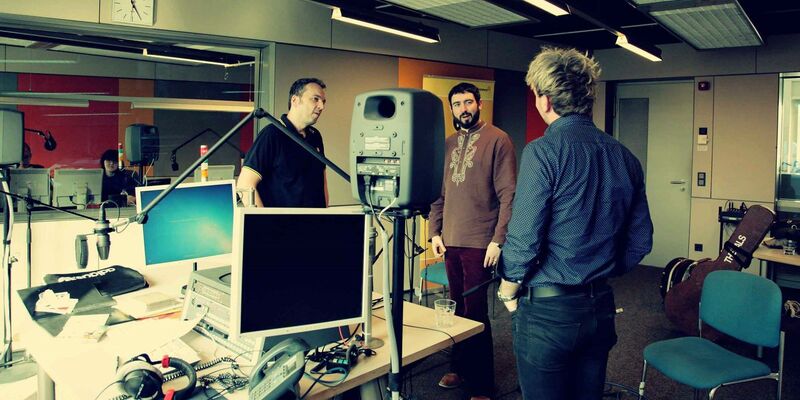 Paul was invited along to the BBC Across the Line show to talk about the making of the latest single 'Quiet Part of Town'. 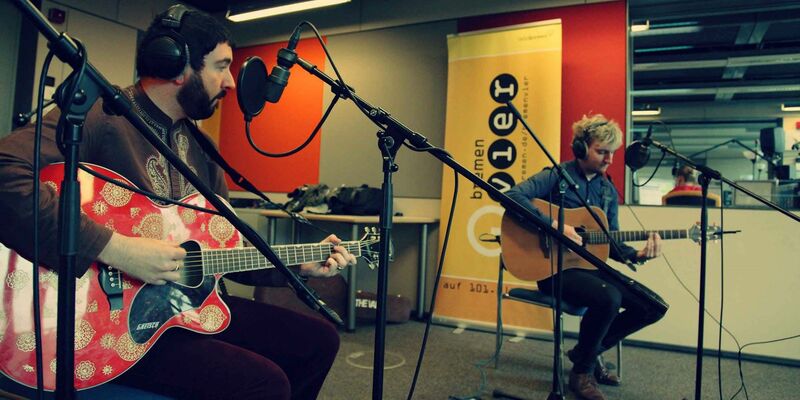 You can listen again now via the BBC iPlayer. 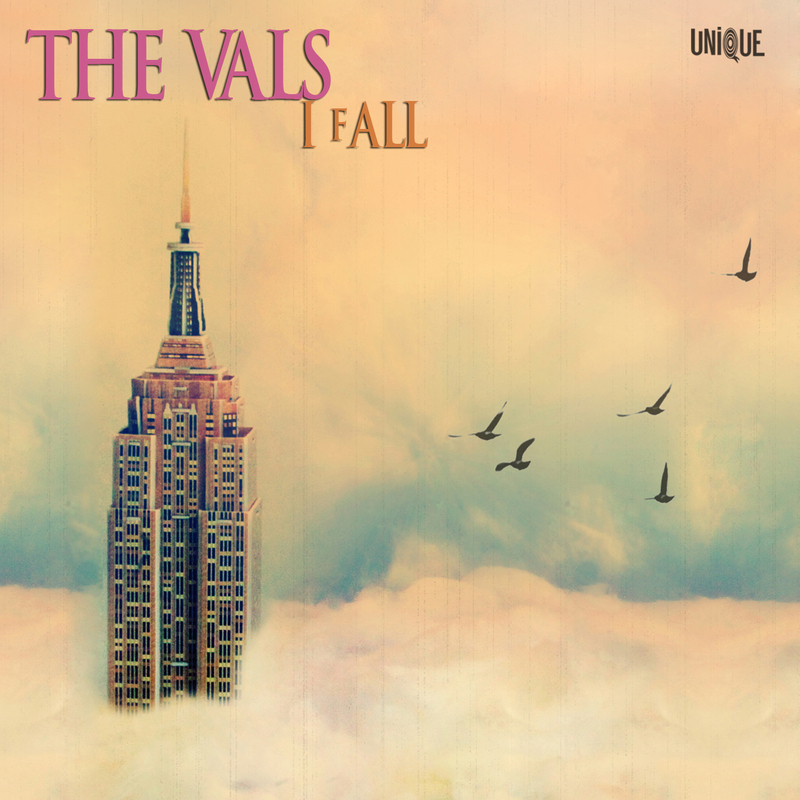 The Vals will be playing a special live session on the BBC at the end of September! A few years back while travelling on a train, Paul had an unexpected meeting with 'Sunshine Superman' himself Donovan. They chatted about Henry McCullough who had just recorded with The Vals that month and how he had previously recorded with Donovan at Abbey Road studios in the 70's. Paul was happy in helping Donovan reconnect with Henry following their meeting. 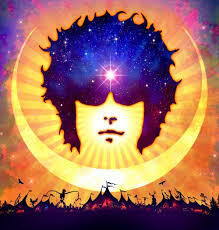 This comes as a huge compliment to both the band and Paul who hold Donovan in a very high regard as one of the greatest songwriters of all time! We are happy to announce the signing of a contract with Schubert Publishing for the 'Wildflower Way' album.Established in year 2003 by Andreas Schubert, the company quickly became the largest independent music publisher in Central & Eastern Europe. Schubert Publishing cover today a significant part of Europe and US with affiliates in Austria, Germany, Switzerland, Spain, France, UK, US, Poland, Czech Republic, Hungary, Bulgaria and Romania. 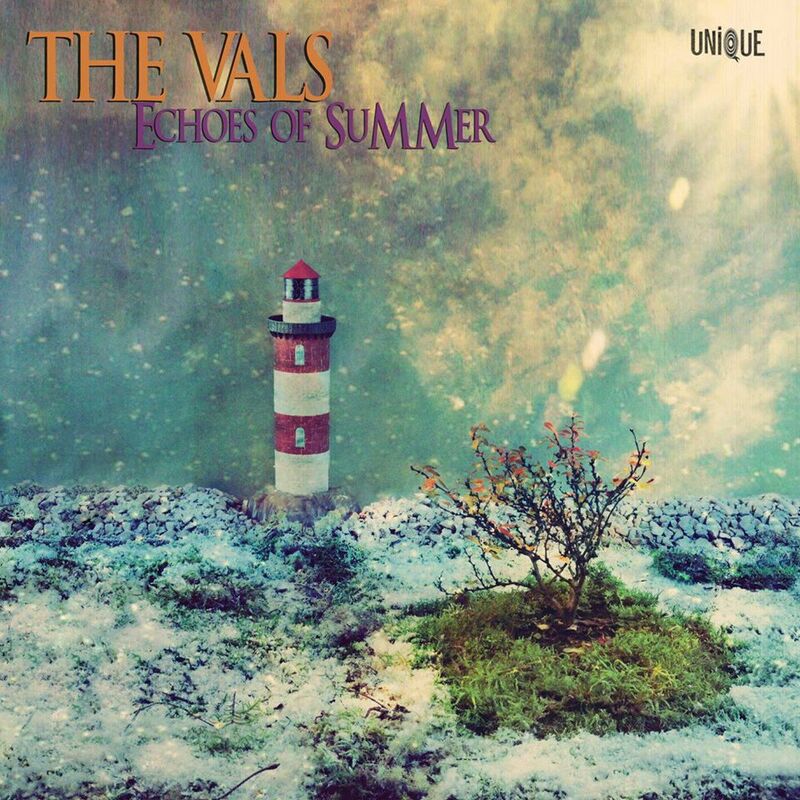 The album will be released on vinyl, cd and download this summer! 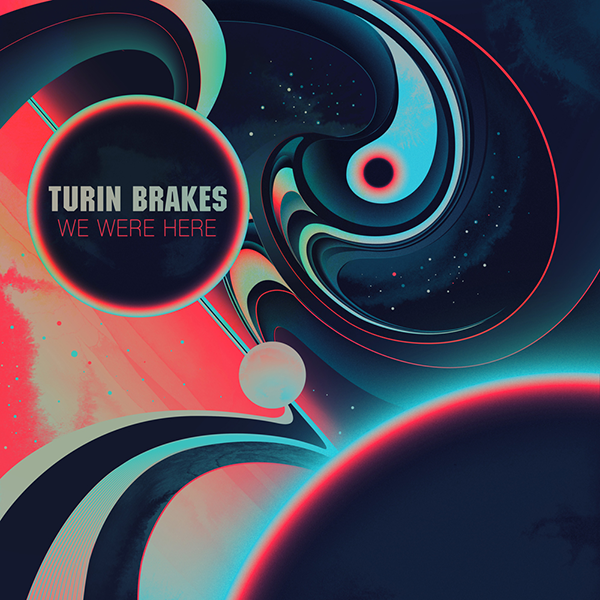 In May we join Turin Brakes on all dates of their Irish tour to promote new album 'We Were Here'. We have been massive fans of the lads for a long time now and it is an honour to open for them in Dublin, Dundalk and Cork! 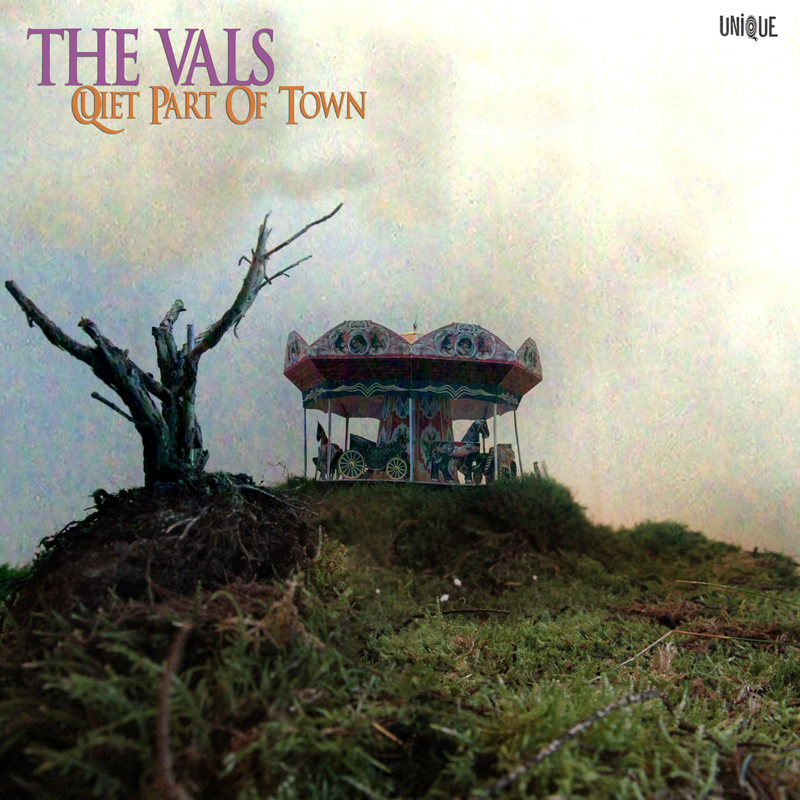 We had the very first review come in from the new single 'Quiet Part of Town' this week and are very happy with it! Thanks guys! Below is an extract from the review, happy reading! 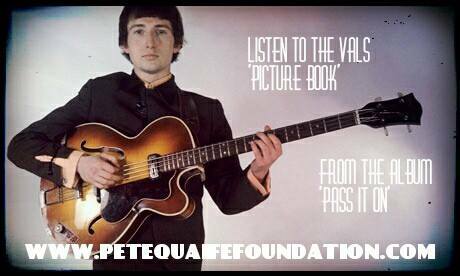 The Vals were honoured recently to have been asked to contribute a cover of the Kinks classic 'Picturebook' for the upcoming tribute to bass player Pete Quaife. Pete's brother David with the help of a few friends has set up a great charity which helps children while awaiting dialysis treatment. The fantastic artwork for this song was created by Stefan Duerr. The beautiful animated video for 'Suzie Reaches for the Sky' was created by Stephane Law. Please watch below! 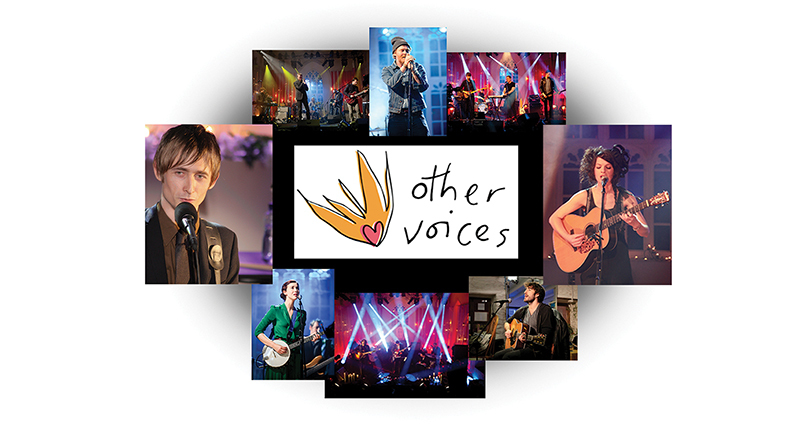 The renowned Irish music television series Other Voices set up camp in Derry this weekend, bringing a myriad of Irish and international stars together to raise their voices in a three-day musical celebration. The world famous TV production records intimate acoustic performances and interviews at locations around the city throughout the afternoon, before turning the cameras on at The Glassworks on Great James Street each evening, filming live sets by the impressive collection of artists who have made their way to Derry to take part in the Other Voices spectacular. 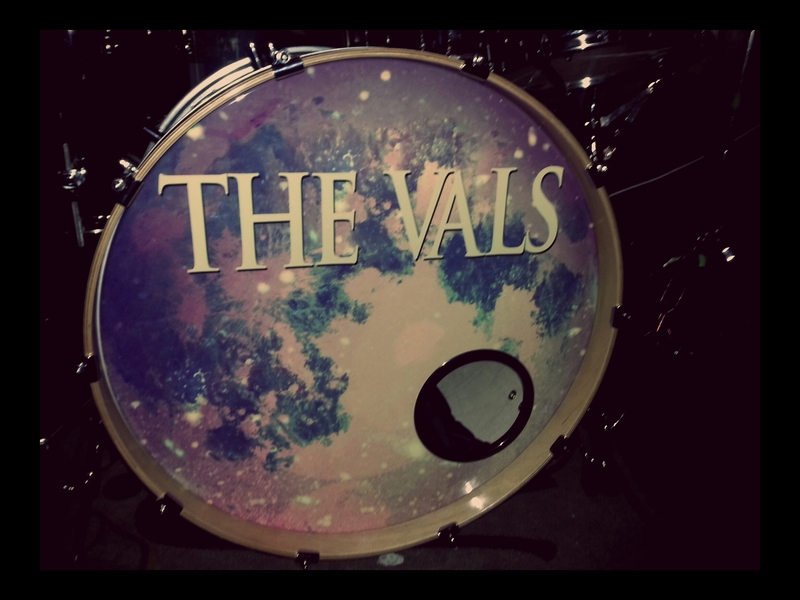 The Vals took part in this massive celebration of 2013's City of Culture by playing to a packed out Sandino's on the final night. A special night to top off a very special time for the city. 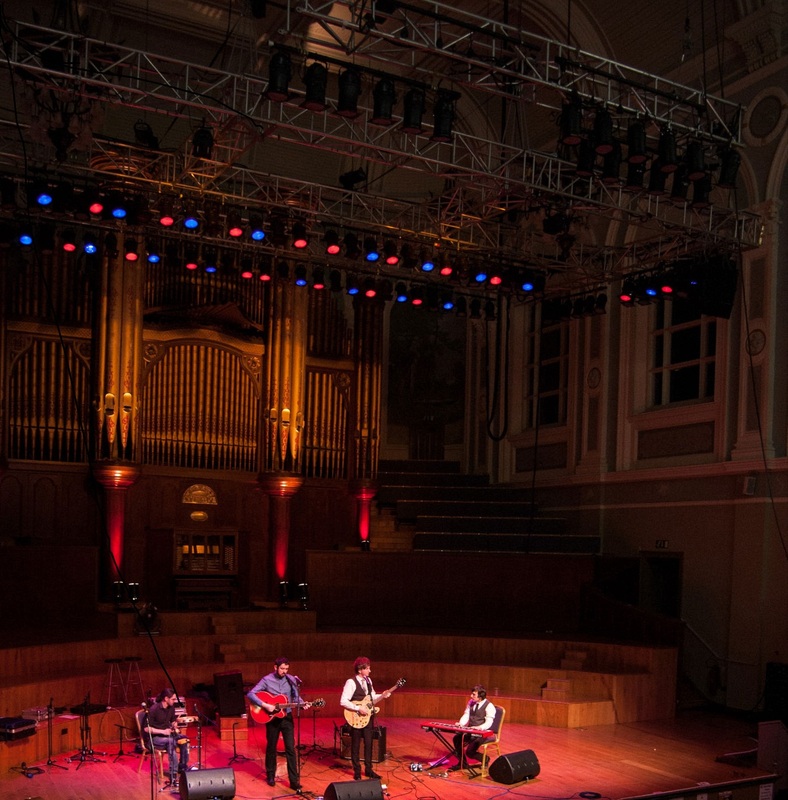 The band finished up their recent acoustic tour in dramatic fashion by playing a sell out Ulster Hall on Friday 23rd November. The event organised by CAMRA seen a gigantic crowd experience all the new tracks from the upcoming album alongside some oldies. There was even time at the end of a massive sing-a-long to All You Need is Love which will live long in the memory. 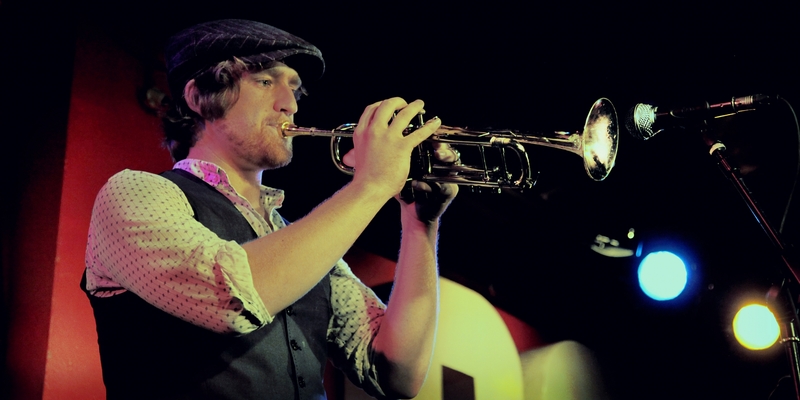 Many thanks to Agata Dziadul for the fantastic pics of the night! 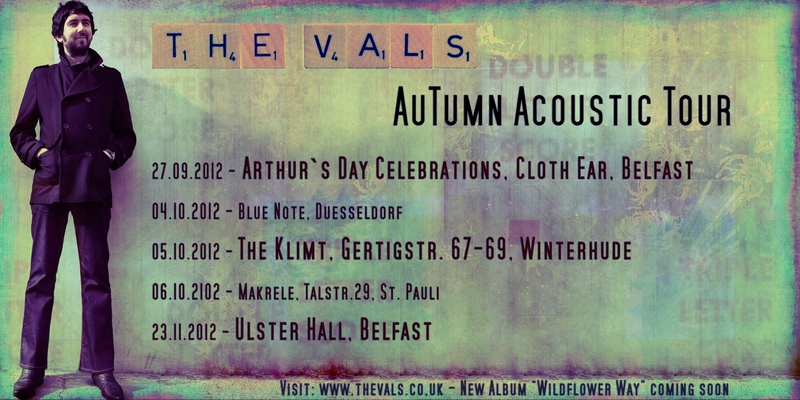 They will be playing the following venues and would love to see you there! Paul and Matt welcome new members Conor, Orlagh, Chris, Emma and Steve to the fold. 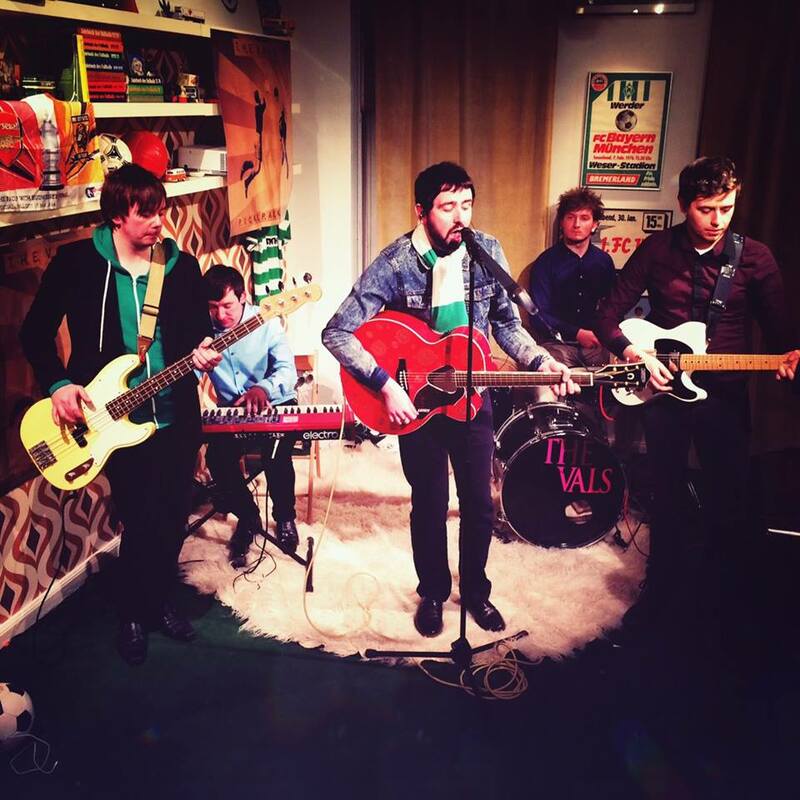 They will be playing their first show with us at the Arthur's Day celebrations in Belfast on the 27th September. Special thanks to Stefan Duerr who created our tour poster, we love it! 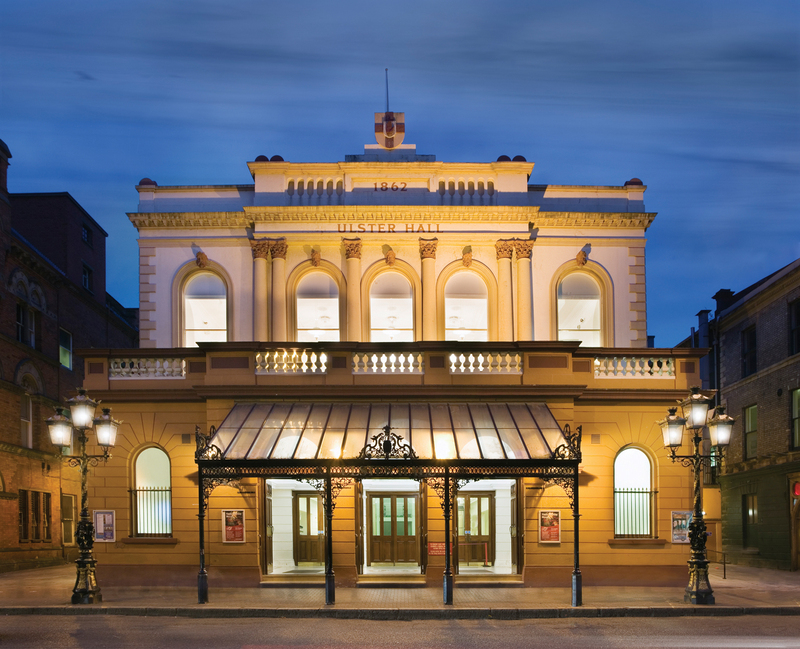 We also can't wait to finish off this little tour with a headline show at the famous Ulster Hall in Belfast on the 23rd of November. Probably our most favourite ever venue! We look forward to putting on a great show for the people of CAMRA. 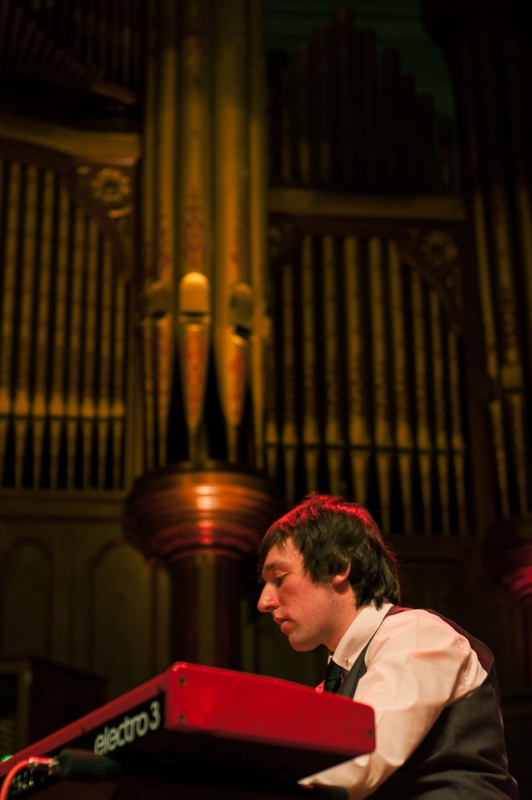 The 1,800 capacity hall is steeped in history with famous appearances from Led Zeppelin to Charles Dickens. 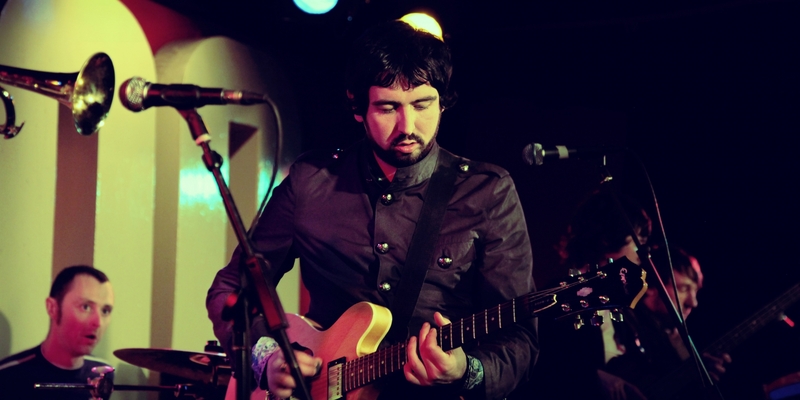 Look out for further shows being added to the tour soon and also news of some new releases from the band. 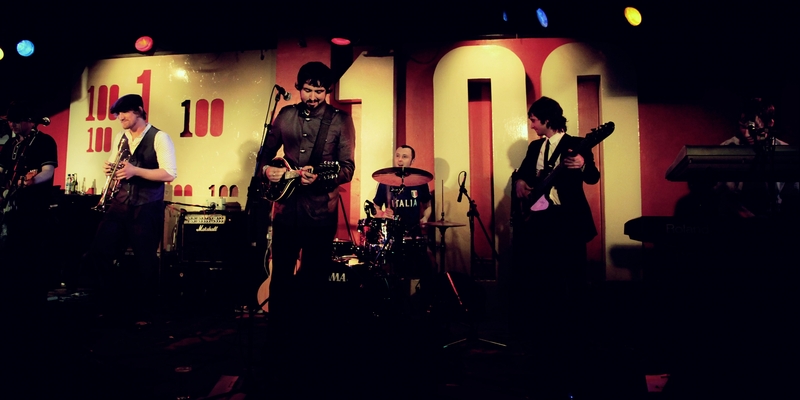 Here is a selection of pics taken by Stefan Duerr at our headline show at London’s famous 100 Club. This was our first headline show in London and what a venue to start! 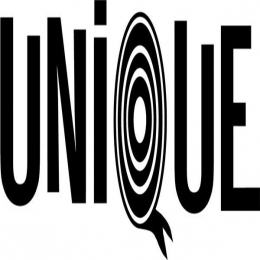 Steeped in history with past shows from The Rolling stones, The Who, Oasis and more. Paul McCartney headlined the same venue just a few weeks later in response to fears the 100 Club would close. It didn’t in the end and for that we are grateful. Many thanks to Val Weedon for organising such a great event. We are very excited of news that our friend Barbara Zedler will be releasing her excellent new book Blüten über Belfast. 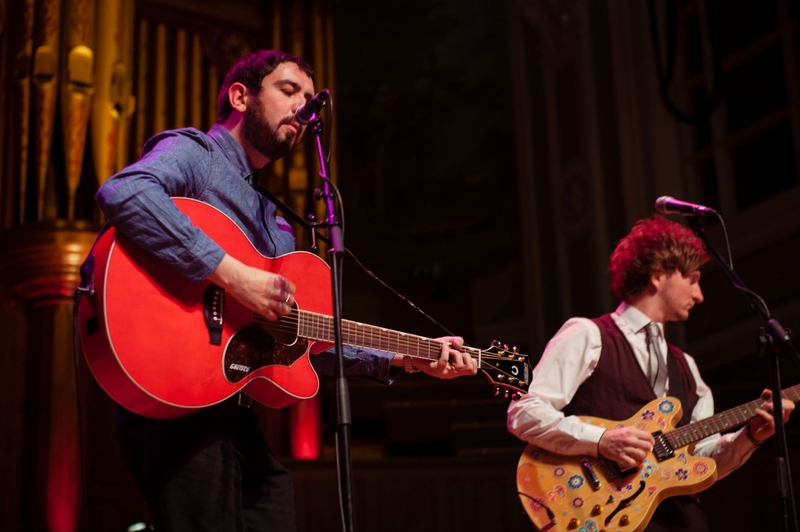 The tale is set in The Vals home town of Belfast and to celebrate the release both Barbara and Paul will share a night of music and words for 2 dates in the city of Hamburg. 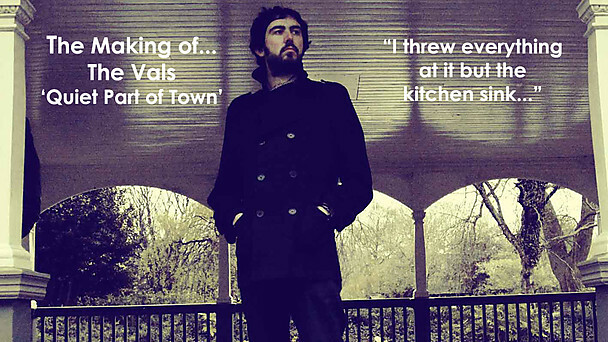 Barbara will be reading extracts from the novel while Paul will play an acoustic set on each night. 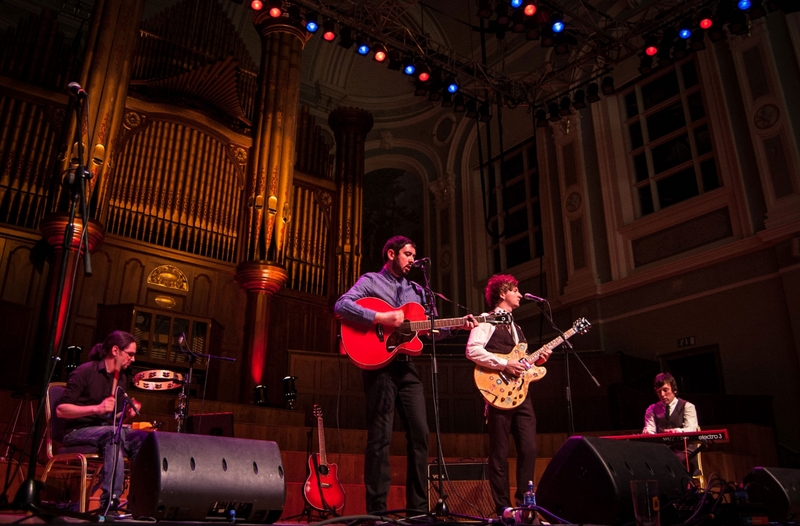 Being massive Beatles fans We cant wait to play in the city where it all began!